Sugar stimulates the release of the feel-good brain chemical serotonin. It makes food taste yummy. Sugar also releases endorphins that calm and relax us and offer a natural high. We use it to energize us and make us feel good. The average person consumes about 22 teaspoons of added sugars. Its added many processed foods (yogurt, ketchup, wine, dried/frozen fruit, all sorts of sauces). The American Heart Association, which recommends limiting added sugars to about 6 teaspoons per day for women and 9 for men. Purchase only mini or fun-size treats: Studies show that we start to feel guilty after 2-3 treats. I keep my chocolate bars in my car trunk during the fall and winter so I have to getup and go out into the cold for one treat. I eat mini popsicles/fudgsicles during the summer. Enjoying a little of what you love can help you steer clear of feeling denied and overconsuming. Try to stick to a 100-calorie threshold or 10gm of sugar. Look for lower sugar versions of your favorite: Look for lower sugar versions of granola and protein bars, cereal, ice tea, baked beans and fruit in juice not syrup. . There are a lot of nice naturally sweetened teas. Find a substitute: To avoid reaching for sugar to get you over that afternoon slump, try a caffeinated tea or coffee. Substitute fruit for fruit juices, iced coffee for flavored coffee, natural butters for peanut butter, and salsa for ketchup. Combine foods. Combine a craving food with a healthy one. Combine banana with peanut butter, flavoured yogurt with plain yogurt, fruit with plain yogurt, nuts with smarties. If I am eating a very sweet sauce I will add vegetables to the sauce. As a beneficial bonus, you’ll satisfy a craving and get healthy nutrients from those good-for-you foods. Go cold turkey. 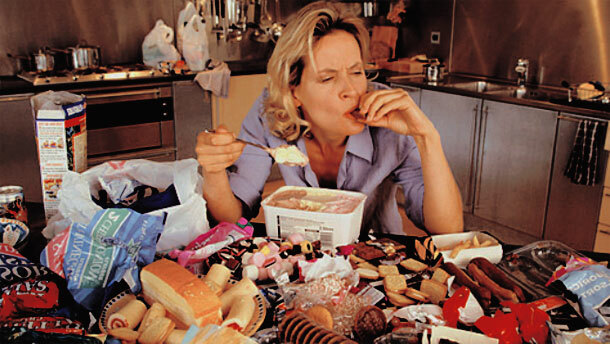 Cutting out all simple sugars works for some people, although “the initial 48 to 72 hours are tough.” Some people find that going cold turkey helps their cravings diminish after a few days; others find they may still crave sugar but over time are able to train their taste buds to be satisfied with less.